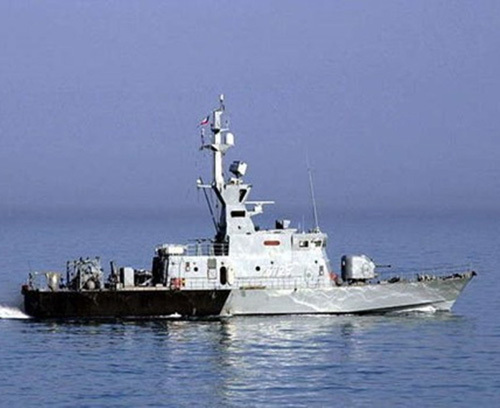 Iran’s Navy officially kicked off a three-day war-game, codenamed “Velayat 97”, in the Persian Gulf and the Sea of Oman on Friday, Fars News Agency (FNA) reported. The drill was held in an area of two million square kilometers, from the Strait of Hormuz to the Southeastern coasts of Makran, the Sea of Oman and the northern parts of the Indian Ocean, down to the 10-degrees latitude. The war game is composed of four separate phases, including naval parades, simulation of a real naval war, maritime and land offense to practice recapturing the territories occupied by the enemy, and the display of the Navy’s power by launching various types of missiles and torpedoes, Navy Commander Read Admiral Hossein Khanzadi said on Thursday. For the first time, the Iranian navy is to fly patrol, reconnaissance and bomber drones during the drill, he added. Submarines will launch missiles in the drill for the first time, and anti-submarine helicopters will also land on and take off from the deck of Sahand destroyer, Tasnim news agency reported. Electronic warfare tactics and electronic data transmission from the coast are among other parts of the exercise, he said. On Sunday, Iran launched its latest submarine named Fateh in the Southern waters of the country in a ceremony participated by President Hassan Rouhani and Defense Minister Brigadier General Amir Hatami. Fateh joined the Iranian Navy’s Southern fleet in Emamat First Naval Zone in the Persian Gulf waters on Sunday afternoon. Over 412,000 parts have been used in the construction of Fateh and Iranian experts have indigenized or developed 76 technological fields to manufacture the submarine, whose construction was accomplished after 4,200,000 men/hours of work. Addressing the ceremony, General Hatami said that Fateh will enhance the Navy’s deterrence power. “The Defense Ministry will continue its plans to develop and equip the Army and IRGC Navies and the naval border guards powerfully,” he added. In relevant remarks on Saturday, General Hatami said that Iran had mounted cruise missiles on its new home-made submarine. “The advanced Fateh submarine will soon join the Islamic Republic of Iran’s Navy after success in final tests,” General Hatami said. He added that Fateh which is Iran’s first semi-heavy submarine enjoys sonar systems, electric propulsion system, combined warfare capability, subsurface-to-surface (marine cruise) missile guiding system, torpedoe firing system, electronic and telecommunication warfare capability, safe telecommunication system and several other modern systems. Two Qadir-class submarines were delivered to the Iranian Naval forces in the coastal strip of Makran along the Persian Gulf and the Gulf of Oman in October in the presence of Commander of the Iranian Navy Rear Admiral Hossein Khanzadi. He described the Navy as the symbol of the Iran’s might in the sea, warning enemies that any aggression against the country and its waters and borders will receive a crushing response.